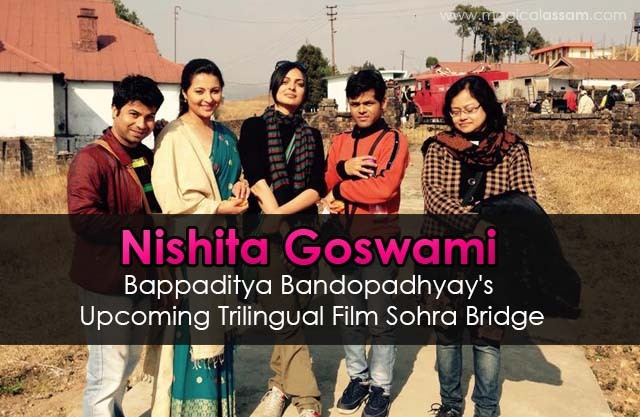 Actor Nishita Goswami and Paul Phukon are among the main artists from the upcoming trilingual film Sohra Bridge directed by Bappaditya Bandopadhyay. The director of Houseful, Elar Char Adhyay and Kagojer Bou , Bappaditya Bandopadhyay has completed shooting of his upcoming film Sohra Bridge. Starring in the lead is ‘Miss Lovely’ Niharika Singh. This marks the actress’s debut in a Bengali film. The film also stars actors from Khasi film industries. The cast comprises Prateik Sen, Raj Banerjee, Khasi actor Merlvin J Mukhim, whose film Rii won the National Award last year. Dialogues are in three languages — Bangla, Assamese and Khasi.